Today, live over the internet, the Chicago Blackhawks announced the jerseys they’ll be wearing for the Winter Classic in Washington, DC on January 1st. Over the course of the day, they gave sneak peeks on Twitter that didn’t really give away too much, and as it turns out, there wasn’t too much to give away regardless. 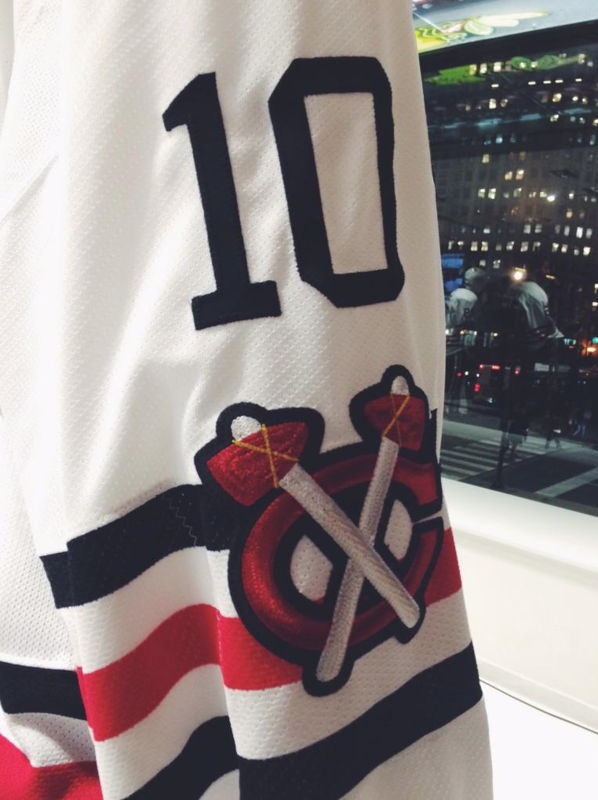 There’s only one major difference between these jerseys and their current home jerseys: the tomahawked-C alternate logo are now red/black and moved from the shoulder to over the sleeve stripes. Other than that, the differences are minor: no red stripe on the collar, no red outlines on the numbers, the numbers are a little bit thinner, no black cuffs, and with collar laces. Meh. 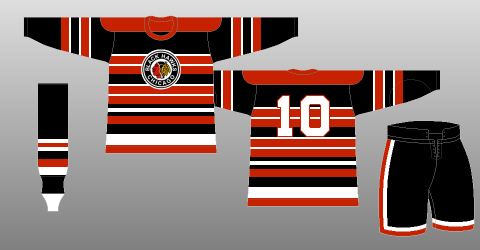 To be fair, it’s a testament to the Blackhawks’ brand that they can copy a jersey that’s over 50 years old (these jerseys are close replicas of the 1957-58 jerseys) and it’s still amazingly close to what they currently wear. And what they currently wear are among the nicest jerseys in the league, bar none. There’s no question that they’ll look good in the jerseys during the Winter Classic. But when there’s an opportunity to create something one-off for a game on a national stage in front of tens of thousands of fans, you’re showing them what they already know. Holy crap! They have laces on the front! What an awesome design! It’s not necessarily a bad approach, but it’s best summed up as a completely missed opportunity. 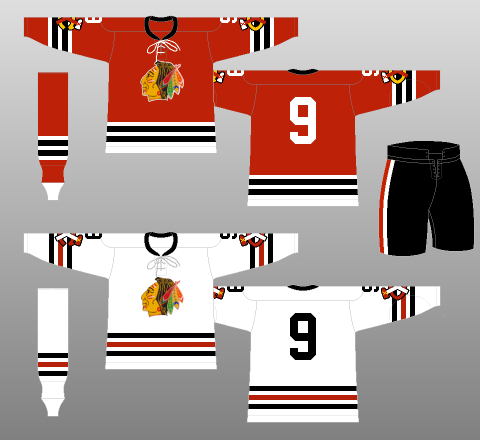 So the Blackhawks will pretty much look like they always do when they play in the Winter Classic and is probably the least imaginative or interested Winter Classic jersey to ever be worn. The least they could have done was bring back some of their incredibly awesome old logos from the ’20s–’50s and experiment with those a bit. Or bring in some striped-goodness of the ’30s. Instead, it’s more of the same. As much as I complain about the strange striping of the Capitals jersey, I applaud them for thinking outside of the box and doing something different. The Blackhawks… No thanks. Boring!